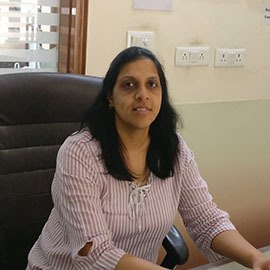 Dr Ankita Gupta is a compassionate and skilled dentist who has graduated from the reputed Government Dental College, Trivandrum in 2007. She is a caring individual, with a passion for her profession, who loves to spend time chair side with her patients. Her emphasis on patient comfort and relationship has enabled her to provide exceptional dental care to patients and create smiles that are natural and beautiful. Dr Ankita is one of the best dentists in Gurgaon for treating paediatric patients. Her Care and Approach ensures that your child is comfortable through out the treatment. Children are very fond of Dr Ankita and love to get treated by her. Dr Ankita Gupta takes pride in associating herself with dental organisations at various levels .She is a life member of the Indian Dental Association . For Dr Ankita, the drive to learn hasn’t stopped yet. She commits herself to learn the latest in dentistry and constantly updates her knowledge through various CDE’s( Continuing Dental Education) Programmes .She has written multiple articles and also participated in several research studies in numerous areas of dentistry. Dr Ankita has been practising in Dr.Gupta's Dental Implant and Orthodontic Centre since 2007 and has helped innumerable people smile.